I've definitely got much more of a savoury tooth than a sweet. Crisps, nibbly bits, salted nuts and popcorn are my downfall. However from time to time (you know the time of the month I'm meaning ladies!) Only chocolate will do! My chocolate of choice usually includes nuts, caramel and ideally peanut butter. I was over the moon when the Peanut Butter Chunky Kit Kat won and every Christmas husband treats me to a box full of peanut Butter and Jelly choccies from The Arran Chocolate Factory. 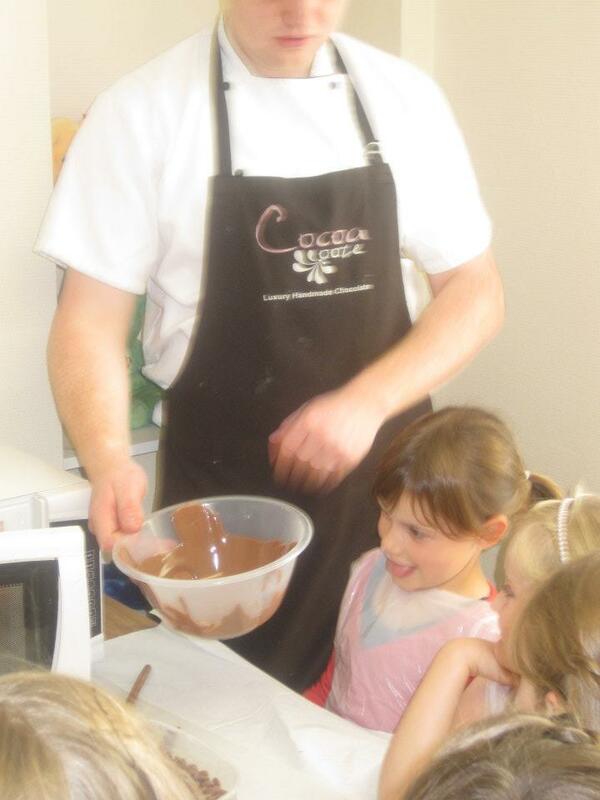 However closer to home is an amazing award winning chocolatier Cocoa Ooze. Set up by young entrepreneur Jamie Hutcheon when he was only 17 he opened a retail outlet in Peterculter in August last year and I noticed yesterday on Facebook that they have just launched their new online shop on the website so tI'd help to spread the word via a blog post now that his creations are able to wing their way to you UK wide thanks to the power of the interweb. 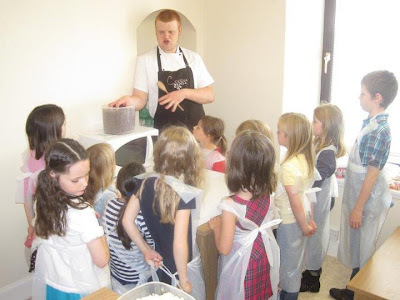 In addition to making and selling chocolate and running a Coffee Shop, Cocoa Ooze also offer chocolate making birthday parties for kids. My daughter had her 7th birthday party there and it was a huge success with a dozen small humans creating a wonderful (and sometimes weird!) range of individual chocolates, lollies, chocolate strawberries and chocolate bars. It was a real hands on experience that was worthy of Willy Wonka himself. The little Oompa Loompas got well and truly stuck in and we're rightfully proud of their creations. 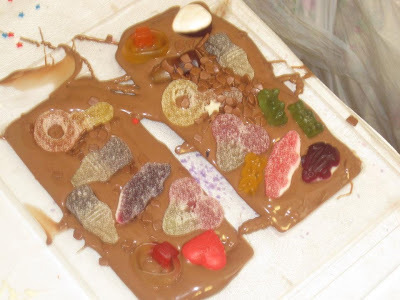 After donning disposable aprons they melted, mixed, tempered and most importantly - tasted! When they were all partied out Their creatios were all ackaged up ready for them to take home - no need for the dreaded party bag! Result!!! As Jamie says, Love Chcolate, Love Cocoa Ooze. When does Retro become Vintage?